Do you want to come to our journey to India 2017? We are preparing the new edition of this incredible journey, of knowledge of India (its colors, its flavors, its culture, its spirituality), of self-knowledge, of connection with you. It will surely be a journey of internal and external discovery. This year with a novelty. The classic trip to South India, which will take place from July 1 to 14, we offer an extension from June 24 to July 1 in North India. That is why we have decided to visit and enjoy some of the most important points of the most spiritual India, North and South. 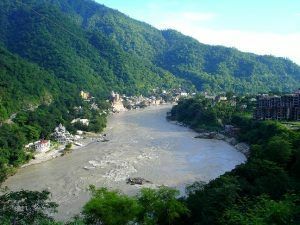 In the north, the Himalayas, the birth of the sacred river Ganges, and Rishikesh. Essential places in the history and practice of yoga and meditation. Of a beauty and energy that will always remain in your memories and in your cells. This is why you can practice and feel nature and spirituality at its best. And all this in a fun and stimulating way. 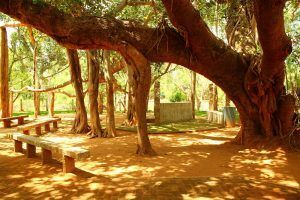 Banyan tree at auroville, india. In the South, the sacred mountain Arunachala and its surroundings. This mountain, which is said to be the oldest in the world, has a special energy for which all great teachers and seekers of consciousness want to pass. A unique place in a special country. We could not miss visiting the city of Auroville, a place of spiritual search, constant education and progress. It is the compilation of all cultural movements and NGOs that wish to make the world a better place. On earth there has long been a place for humanity, for the joint progress of ttechnology and consciousness. This place is already 45 years old and continues to grow and approaching its advanced vision of what can be a human society. Meditations, yoga, trekking, trekking, visits to temples, communities, projects, and much more. The deadline for registration is 12 May.